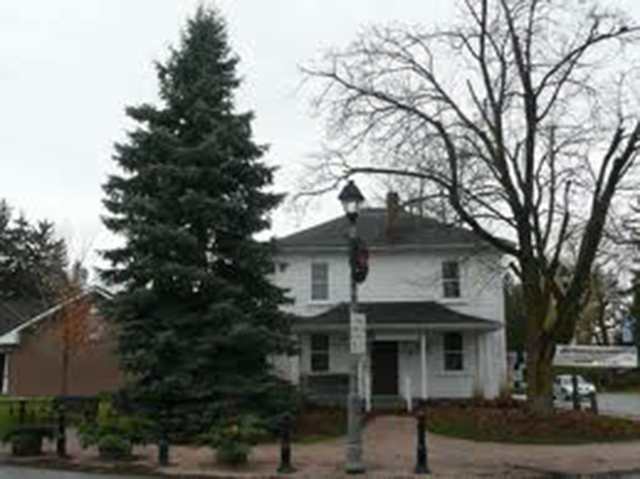 The Klein House was built in c. 1858 and houses the National Historic Museum of Kleinburg. The museum contains photographs and artifacts from Kleinburg’s rich past. The museum is organized by the Kleinburg Old Boys and staffed by volunteers. The collection is open on weekends from Victoria Day to Thanksgiving. The Klein House is but one stop on the Kleinburg historical walking tour. In the historically designated Village of Kleinburg, you will find that the atmosphere of early Canadian traditions and architecture joins with the modern amidst the growing urban setting of the City of Vaughan. Founded by John Kline in 1848, this picturesque village nestled atop the Humber River Ridge is now home to many businesses including galleries, boutiques, design and home décor and gift shops, as well as several respected fine dining restaurants and indulgence cafés. The village centre is lined with many beautiful historical buildings that include the picturesque Kleinburg Railway Station (c. 1907). The village of Kleinburg flanked on two sides by the West and East Branches of the Humber River is a haven of trees and wildlife and is protected as parkland with walking trails for you to enjoy. The Kleinburg historical walking tour is self-guided thanks to a handy pamphlet that can be picked up at the National Historic Archives or at Artisa. For more information please visit Kleinburg’s website.